In October 2014 we explored the sites, sounds and smells of Israel, bringing history to life. We walked where Jesus and his disciples walked, visit locales from Old Testament history touched and experienced first-hand many biblical sites. We were thrilled to see the bible come to life! 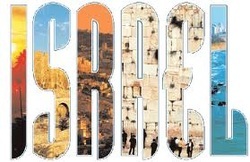 We were treated to 8 days of sightseeing in Israel on a luxury coach and 9 nights accommodation in 4-star hotels. Oct. 19 - Arrive Ben Gurion Airport. A private coach will take us to our hotel in Tel Aviv for dinner and overnight. - Nof Ginosar, to see the ancient 'Jesus boat"
- observation point at Mount Bental. Watch Syria in battle first-hand. - visit "Abraham's tent" and take a camel ride in the desert! - Qumran where the Dead Sea Scrolls were written over 2000 years ago; view of the caves they were discovered in 1946. - explore the Temple wall as Jesus knew it, even some of the untouched streets of Jerusalem in Jesus’ day! Greek Islands and Turkey (including Ephesus, Rhodes, Nafplion (Corinth), Mykonos, Straits of Dardenelle and Volos) with extra days of touring in Athens and Istanbul. We stayed in a central luxury apartment to get a feel for everyday life in Jerusalem, near the Mehane Yehuda street market.